MacDara loves to help businesses of all sizes and their leaders to maximise their potential. He is an internationally respected manager, marketer, leader and business developer with a strong local, national and international network of social, commercial, community and political entrepreneurs. MacDara’s 25 year career is reflected in his approach as a dynamic, results orientated entrepreneurial leader. He established Hosty Consulting Ltd in 1997and since then has worked worldwide with multiple entities helping them to figure out where they are now, where they want to get to and how to get there. At the core of MacDara’s work is his own unique process for creating customers and the processes and systems for keeping them. MacDara is a graduate of Sligo IT, The Kempten University of Applied Sciences (Germany) and earned his MBA at NUI Galway. 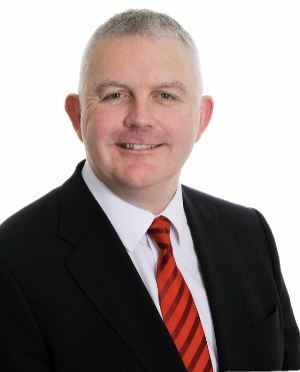 In addition to his consulting work MacDara is also co-founder of Dundalk On Ice™ and he also lectures at the Cairnes School of Business and Economics in NUI Galway. Marketing and Management – Creating customers and keeping them. Business Model Generation and Strategy – New business/product launch and re-launch (Business planning). Growth & Development Strategy – Commercially viable sales planning & processes (Sales & Marketing Campaigns). Strategic Leadership – coaching business leaders to lead effectively.